Arundo has overtaken the Salinas RiverThe RCD of Monterey County is working with landowners, farmers, the Monterey County Agricultural Commissioner’s office, and other stakeholders to implement the Salinas River Invasive Non-Native Plant Control and Restoration Program, with a goal of eradicating Arundo donax (arundo) along 90 infested river miles and preventing further spread of invasive Tamarix parviflora (tamarisk). Arundo is a non-native bamboo-like plant that forms dense stands that can grow over 30 ft tall. 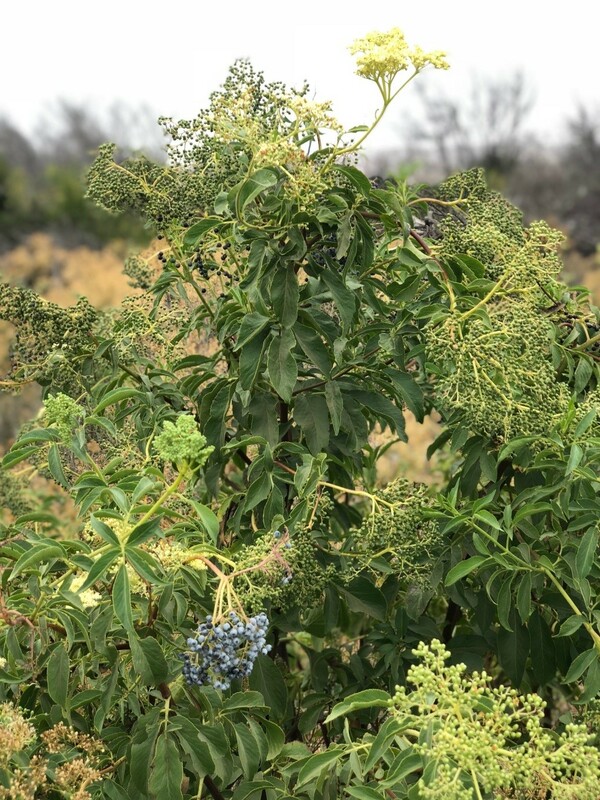 It crowds out native vegetation, degrades wildlife habitat, consumes large amounts of water, increases the risk of flooding to adjacent farm fields and cities, and poses a fire hazard. Tamarisk is a non-native woody plant that has come to dominate many river systems in the arid southwest. 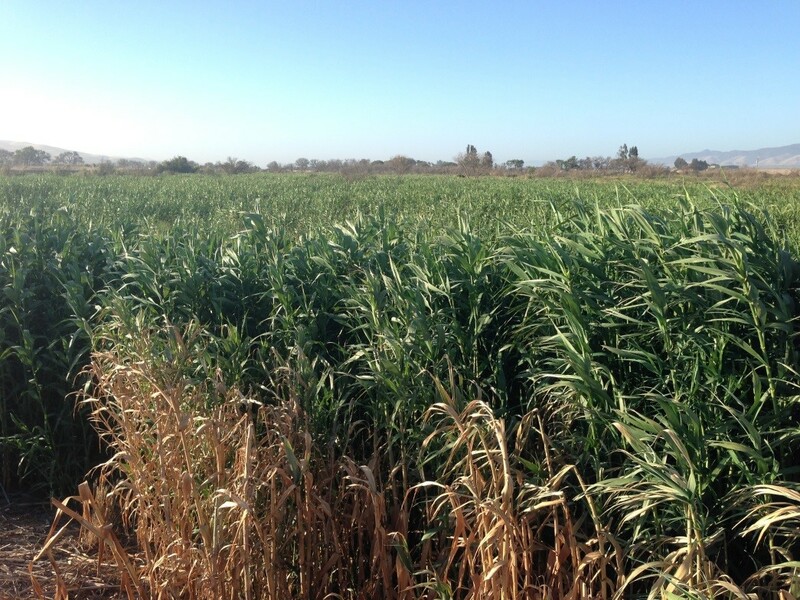 In 2011, the California Invasive Plant Council determined that the Salinas River watershed had the second-largest infestation of arundo in California (apx. 1,500 acres). The largest stands occurred from Greenfield to Gonzales, but arundo can be found along the entire river. 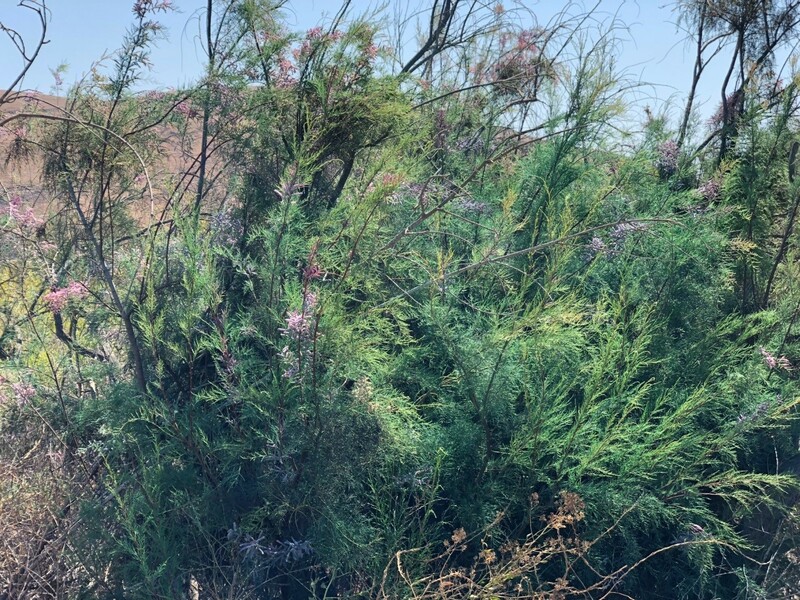 Tamarisk is also scattered throughout the watershed and is continuing to spread. The Monterey County Agricultural Commissioner’s office, with support from the California Department of Food and Agriculture, sprayed scattered patches of arundo between King City and the Monterey/San Luis Obispo county line between 2008 and 2009, but a large-scale, coordinated approach along the entire river was needed to work towards eradication. 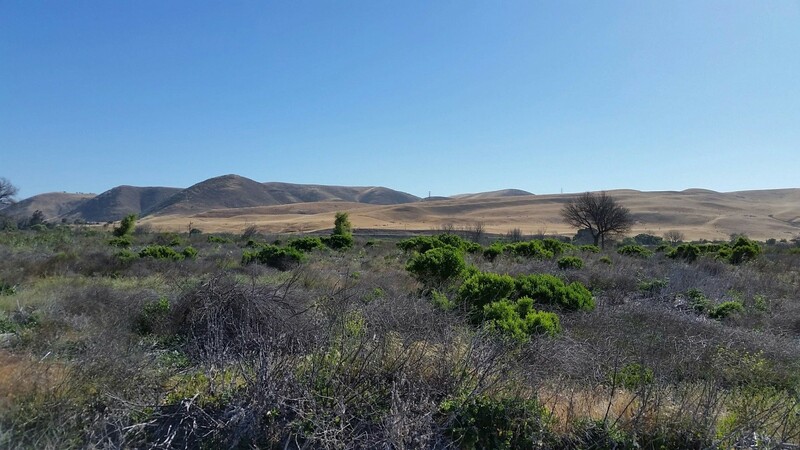 Beginning in 2009 with support from the Monterey County Agricultural Commissioner, the RCD worked with Jason Giessow of Dendra, Inc. to develop the Salinas River Invasive Plant Control and Restoration Program. 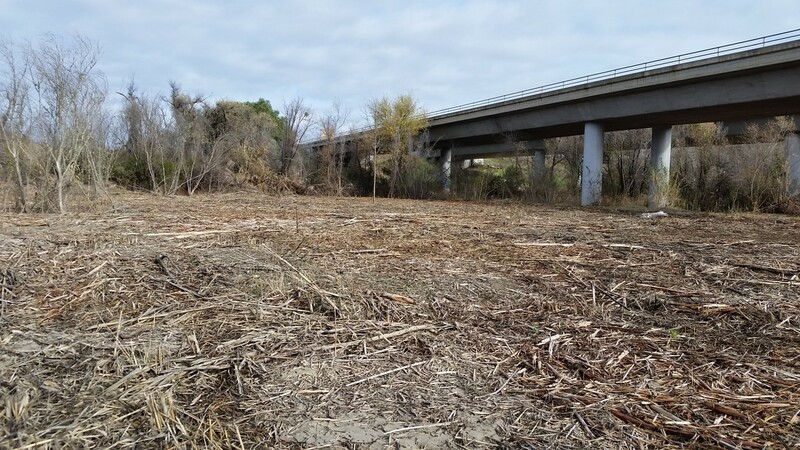 In 2011-2014, the RCD secured all necessary permits to conduct invasive plant control along the length of the Salinas River in Monterey County. 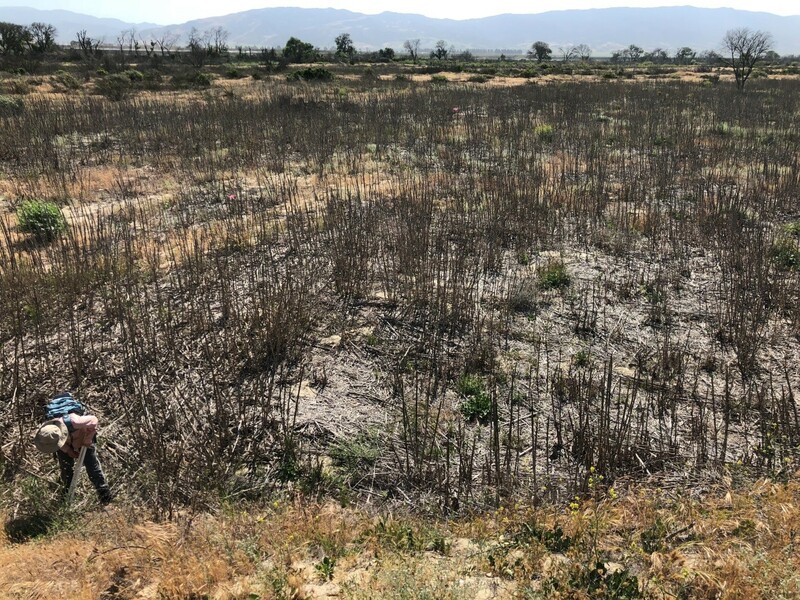 The RCD of Monterey County is working with the Upper Salinas-Las Tablas RCD to ensure that scattered populations of arundo and tamarisk are controlled in the upper Salinas River watershed in San Luis Obispo County, so that re-infestation of treated areas downstream does not occur. 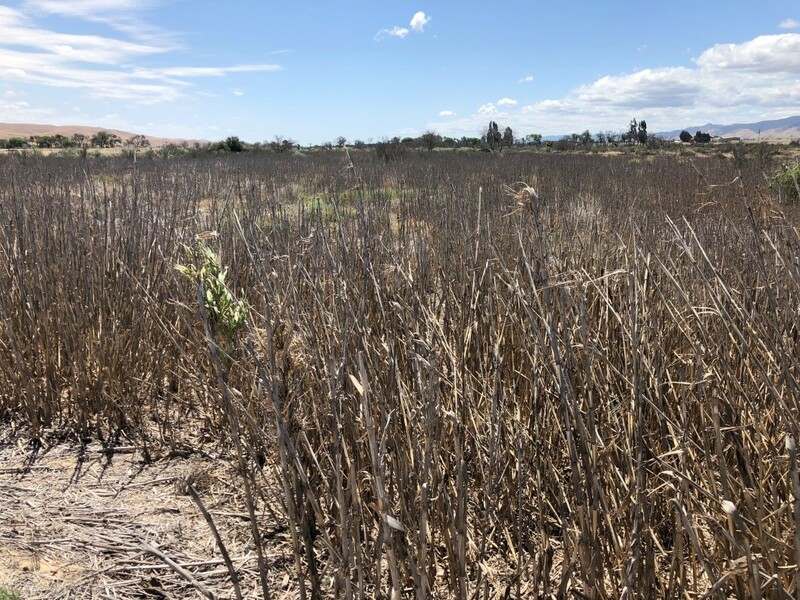 In 2014, the RCD was awarded a $1.1 million grant from the California Wildlife Conservation Board Habitat Conservation Fund to begin mowing and spraying arundo and tamarisk near Greenfield. The RCD has since been awarded two additional grants from the Wildlife Conservation Board’s Prop 1 Stream Flow Enhancement funds – $3.4 million in 2016 and $2.9 million in 2019 – to continue the program downstream. The RCD also secured a $1.8 million Regional Conservation Partnership Program agreement from the United States Department of Agriculture’s Natural Resources Conservation Service in 2018 to fund additional arundo control, riparian restoration, and bank protection work by private landowners. The Monterey County Agricultural Commissioner’s office has provided over $400K in financial and in-kind technical support throughout the term of the program. 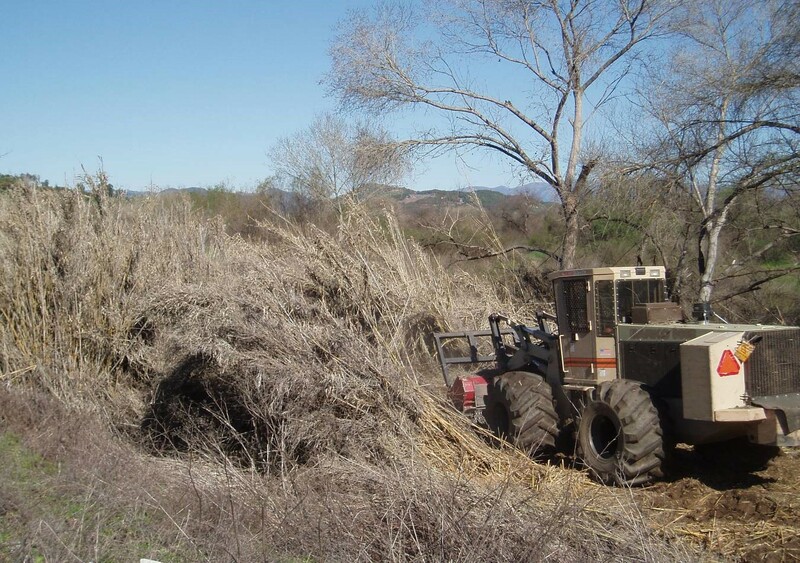 Treatment of large arundo stands on the Salinas River typically begins with mowing in the fall, which reduces standing biomass and causes a flush of regrowth from the underground rhizomes in the spring. Arundo resprouts are then sprayed with herbicides the following summer-fall, and in each subsequent year until no sprouts remain. Smaller, scattered stands are treated with herbicide without prior biomass reduction. Herbicides used consist of wildlife-friendly formulations containing glyphosate or a glyphosate/imazapyr mix approved for use near water. All work areas are surveyed by wildlife biologists prior to treatment. Areas where special status species or their habitats are found are avoided. Biological monitors work closely with the contractors conducting the work to ensure there is no “take” of threatened or endangered species. The RCD also takes water samples to ensure the river is not impacted by herbicide drift. Areas of arundo treatment are mapped in the field as work occurs to track progress and ensure all areas needing treatment are covered. Photopoint monitoring occurs each year before work begins to observe changes in the landscape over time. The RCD also tracks changes in the plant communities in areas where arundo has been controlled, to determine the efficacy of arundo treatments and the progress of natural revegetation. Beginning in 2019, the RCD will work with partners at California State University Monterey Bay and Pathways for Wildlife to investigate how removing arundo influences bats, invertebrates, and mammals that live in the river corridor. 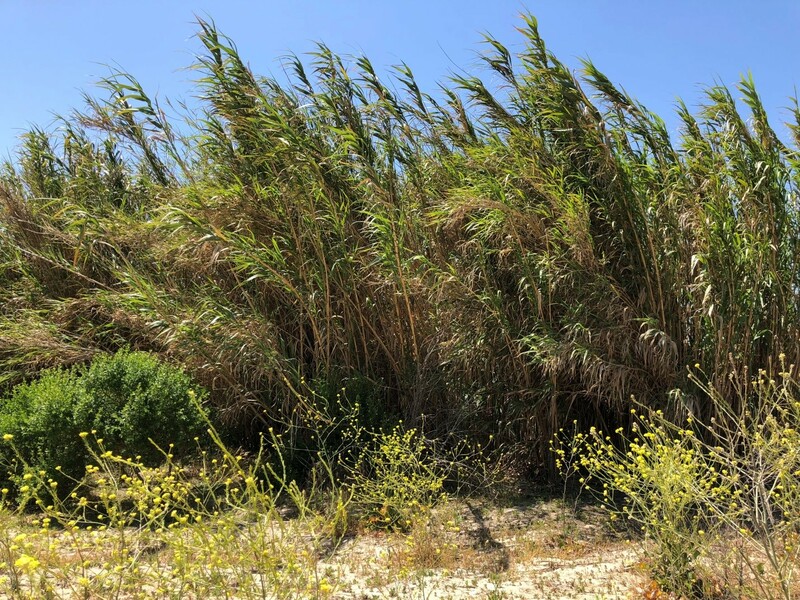 As of early 2019, approximately 500 acres of arundo have been treated under the RCD’s program. An additional 80 acres of arundo have been treated under the Salinas River Stream Maintenance Program. The RCD will continue to seek funding and landowner cooperation to advance the program downstream until all arundo has been eradicated from the watershed. 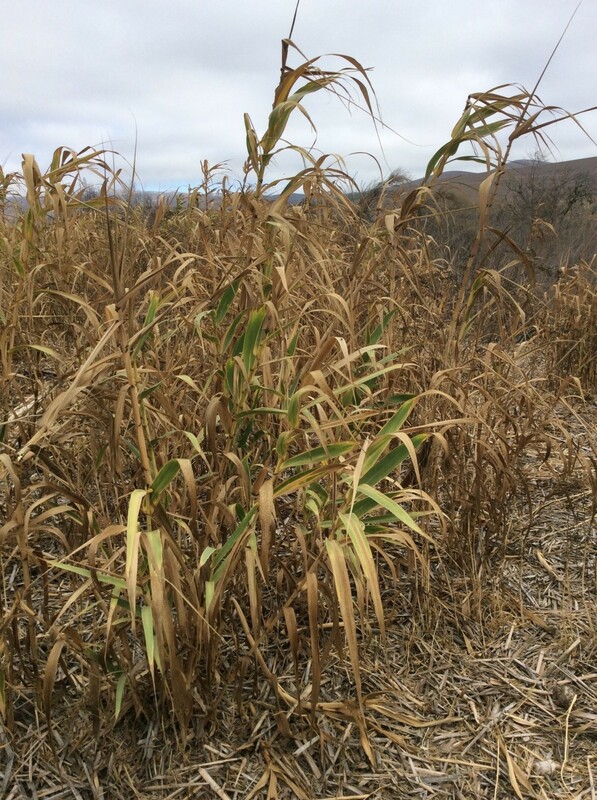 If you are a landowner or grower interested in arundo control on your Salinas River property, contact Emily Zefferman. 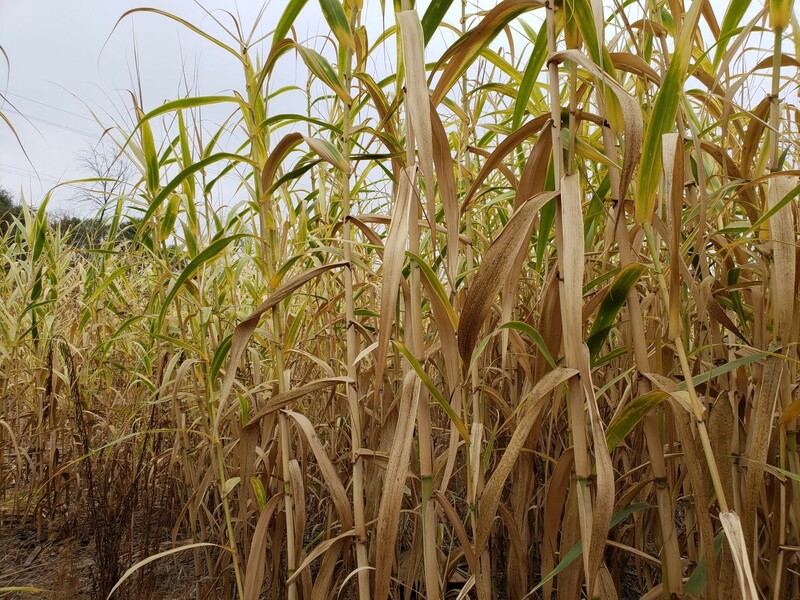 Funding may be available through the Regional Conservation Partnership Program to help pay for arundo treatment on your land. 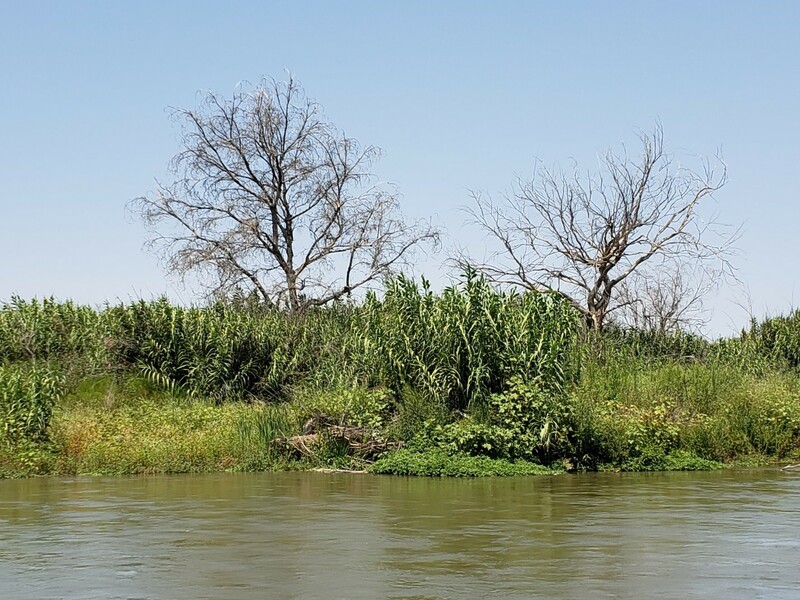 Learn more about our Salinas River Invasive Plant Control and Restoration Program by watching this short video, WITHIN REACH: Releasing Arundo's Leafy Grip on the Salinas.